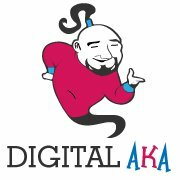 Digital Marketing now a days becomes more necessary to make your business online & DigitalAka is working in this field since 2012 and make several satisfied clients. DigitalAka(Subsidiary of Panache Softech P Ltd.) comprises of various services like SMTP server in india, Best Bulk Email Services without Spamming, Bulk mail online software, Email marketing Software with less spamming Mail server. For best prices call us on 8750394420.